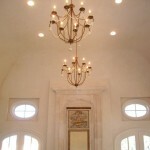 Cove Ceiling Design Could Truly Be The Hottest Thing For Any Season! Bonjour! I’m Designer Shanti. As a designer of fashion and home collections, I have to be in touch with fashion and home collection forecasting. The spring 2014 fashion shows have come to a close this July and after jet setting around the globe, I need a martini! While the fashion forecast is calling for an unabashedly bright rainbow color palette, I’m here to tell you that spring 2014 home trend colors are forecast to be much more mellow and subdued. Think soft pastels on luxe fabrics of velvet and satin. Before you have nightmares of an Easter basket gone wild in your living room, be assured that when done right and balanced, the look is soft, fresh, and welcoming. 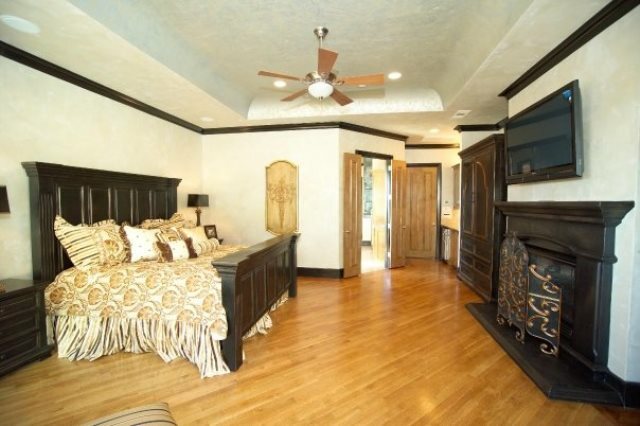 Keeping this all around softer theme in mind, why not change a boxy cubed room into a beautiful cove ceiling design? Bon! Zut Alors! 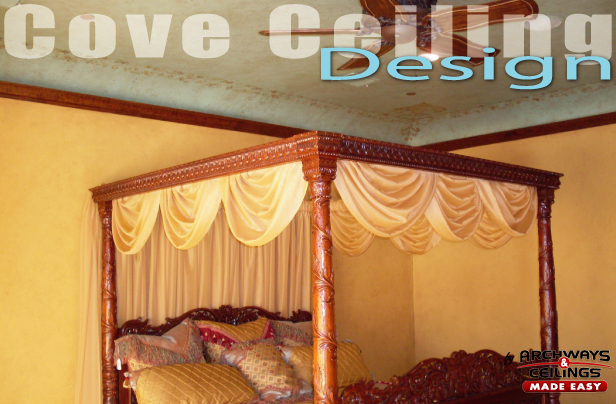 What Is Ceiling Cove Design? Mes amis, a cove ceiling design is a great way to soften the look of a cube shaped room, changing the hard 90 degree angle to a gentle curve. 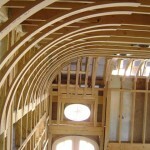 A cove ceiling is simply a curvature from a wall to ceiling that typically runs the length of a wall. 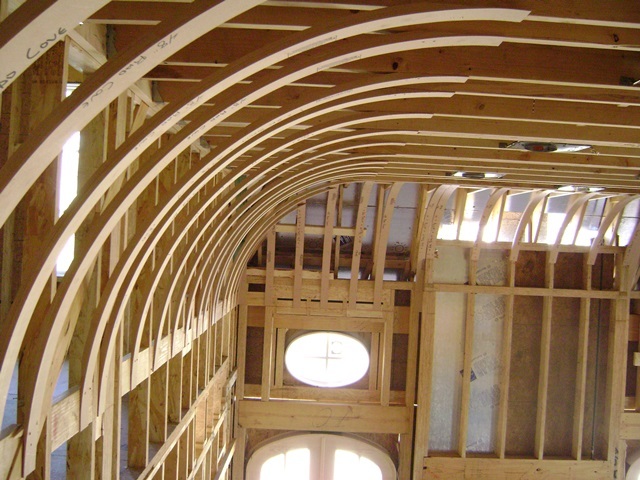 A visual example would be imagining a half pipe shaped molding nailed in place of a piece of crown molding and picture the concave side facing towards the center of the room. 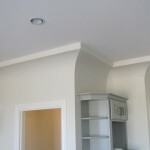 Replacing the hard angle of the wall and ceiling with a curve eliminates the rigid connection and transforms it into a fluid point of connection, making it difficult to determine where the wall ends and where the ceiling begins. Think of all the exciting paint possibilities! I’ll get to that after my martini. 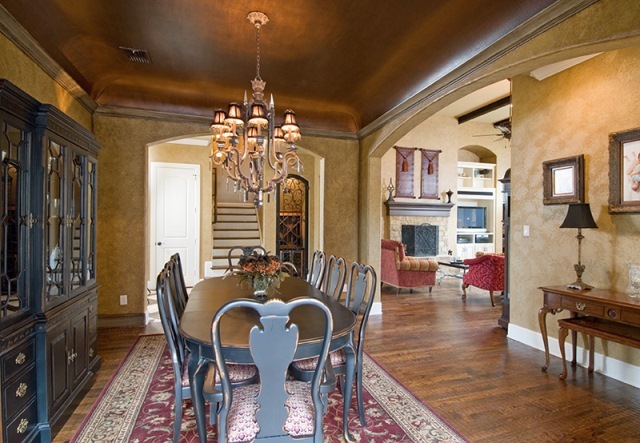 A cove ceiling design turns a room from average, plain, and industrial looking to appealing, sophisticated, and cozy. 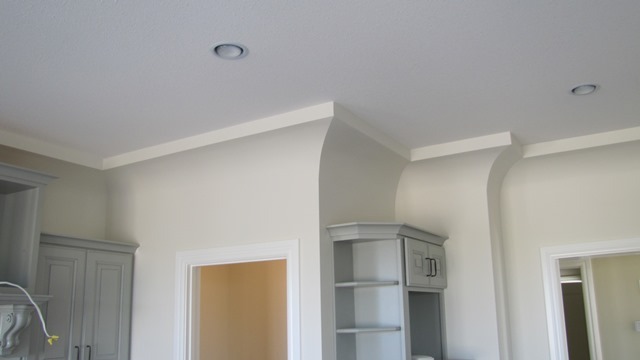 Cove ceilings are also fabulous because it eliminates the need for costly and tricky crown molding: no miter saws, difficult angles to match up, or damage sensitive molding. 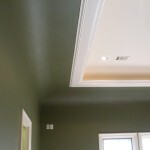 Something else to consider: crown molding requires special cleaning much like baseboard molding, but cove ceiling design requires nothing more than passing along a dust rag. 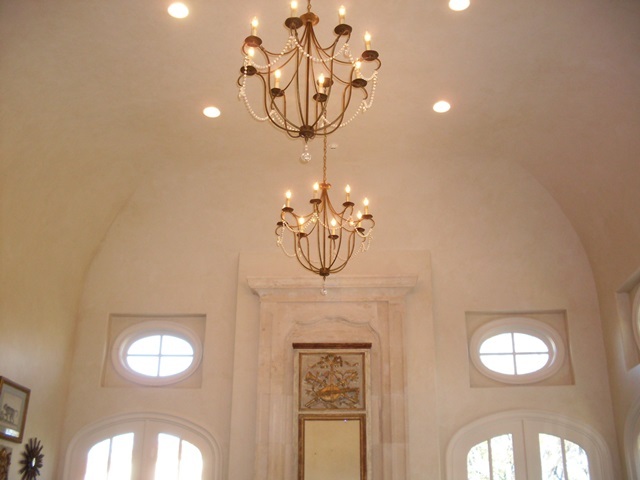 There are no fine indentions and intricate patterns to collect dust in cove ceiling design. Façile, oui?! Salut! I have my martini now, so let’s talk ceiling cove and décor. After the complete ceiling cove install in your living room – obviously, I’m just using the living room as an example, darling. Cove ceiling design can be installed almost anywhere – you can complete the look with a spring 2014 home trend soft pastel palette. If the room is naturally bright, try a combination like a soft heather grey on the walls and cove and periwinkle on the ceiling. The grey is neutral but the color on the ceiling gives the already bright room a little pop of color without overwhelming the room. If the room is naturally dark, try pastel sea foam green on the walls and ceiling and a barely-there-icy-pink. This will create a bright, yet calming and refreshing look. 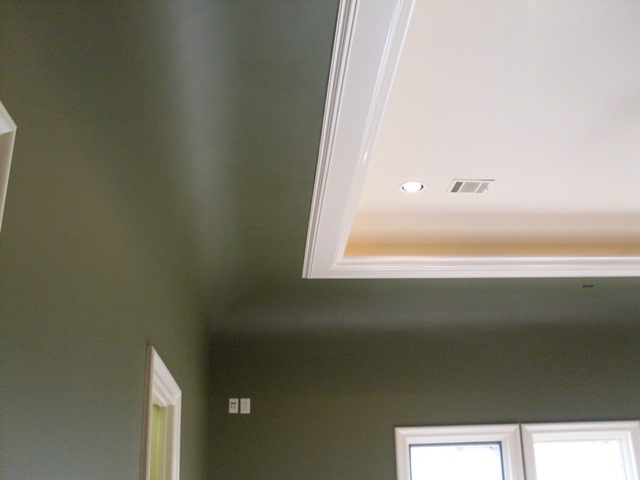 Cove ceilings allow for personal interpretation of where paint colors begin and end, so you can be creative. All you’ll need to accessorize around the cove ceiling design are light pastel complimentary colored window treatments, pillows, and lampshades in the highest quality fabrics you can afford (while keeping your significant other happy) with a pattern. A pattern is ideal for room accessories that are considered temporary or interchangeable because it is the most cost effective. For example: it is less costly to change pillows and curtains than it is to reupholster a couch. Since patterns tend to represent a period of time and tend to be more reflective of trends, why not choose patterns for room accessories? If a pattern is available, a delicately hued floral brocade would be an ideal choice. Yes, I said floral brocade. Floral brocade has been around for centuries and it can look dated, but not when it is done right! Floral brocade in pastel hues can look crisp, flawless, and right on trend. Until next time, I wish you happy beautifying – au revoir! Shanti Winter, aka Designer Shanti, is a hybrid of construction and design proficiency. She grew up around residential construction, worked in construction for seven years, and obtained a degree in fashion design. She also studied French and holds a degree in Linguistics. She views construction and fashion design as similar, in that both involve a foundation, a structure, a cover, and decorative elements. She is irresistibly attracted to exceptional design. What can we say? We're picture junkies! We're always excited when our customers share their photos with us. Whether you've just finished installing, are halfway through drywalling, working on mud and taping or you've got a few finished pictures; we'd love to see how your archway or ceiling came out. Below you'll find a snippet of the most recent pictures.